Lent Group: Five Friday mornings during lent commencing on the 15th March at 10.30. Exploring discipleship in a small discussion group with refreshments. All welcome. 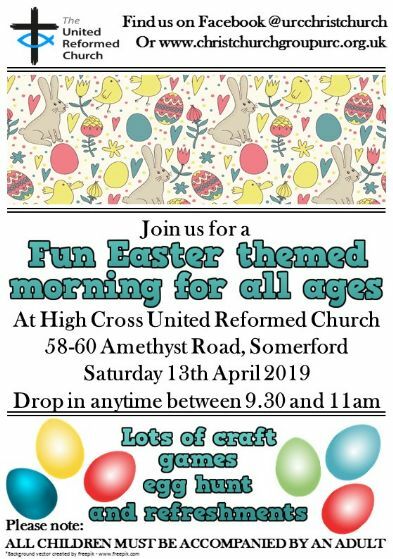 Saturday 13th April, 9.30-11am: Easter Fun Morning - a family morning of fun, games and crafts following an Easter theme. More details below.